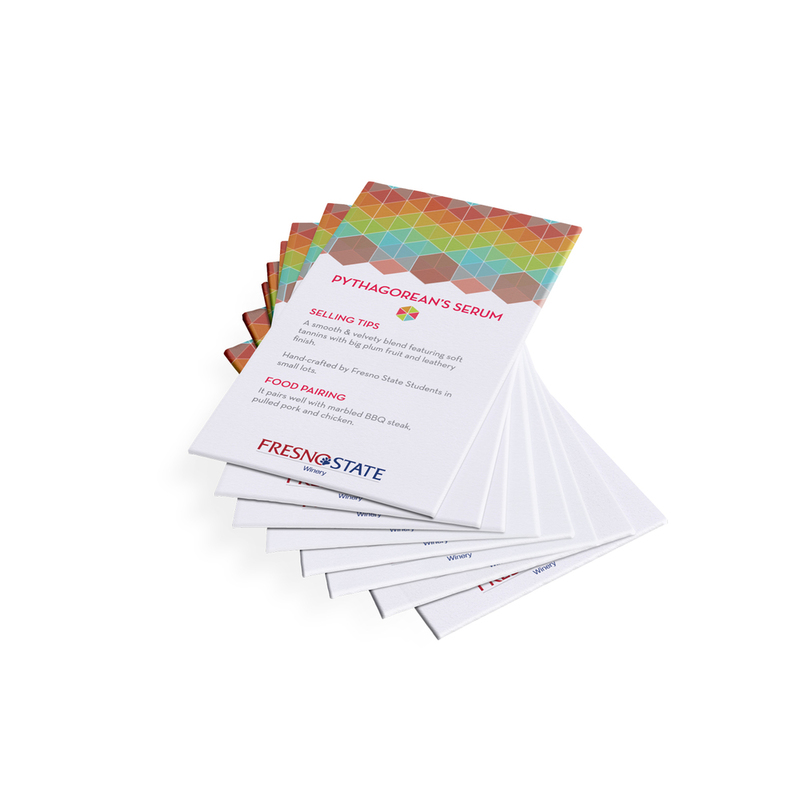 The Fresno State Winery approached my Professional Advertising Design class to create wine labels to help promote the new line of Art & Science Wine. Kevin Smith, the Marketing Supervisor of the Winery wanted the labels to reflect how winemaking is a blend of art and science, as well as feature our Art and Science departments at Fresno State. I’ve always been a bit of a nerd. I really went full-out with this project, delving into areas in which science and art meet. My influences with this project were MC Escher’s woodcuts and prints, optical illusions and also the Magic Eye books from my childhood. Each wine had a specific name created for them by the winemaker to reflect a different department on campus. I wanted to take each wine and show the intersection of art and science, while paying homage to the departments. This wine was to reflect the Math department on campus and was mean to be a big, bold wine. I chose the ambiguous Necker cube. While this also reflects how the Pythagorean theorem explains right angles, which are featured in the cube, it also reflects how deep and velvety the wine because the Necker cubes offer an ambiguous dimension of space. Depth Perception is a wine to highlight the Art Department, focusing on Photography. I chose to go with the Fibonacci Spiral, also known as the Golden Rule, which for proportions in a lot of works of art. The idea for Abstract Theory was to reflect any department that deals with abstract principles. I decided to focus on the abstract theory of four-dimensional space. The shape I chose to represent this wine was the Tesseract, or a hypercube. This cube is a projection of four-dimensional space. 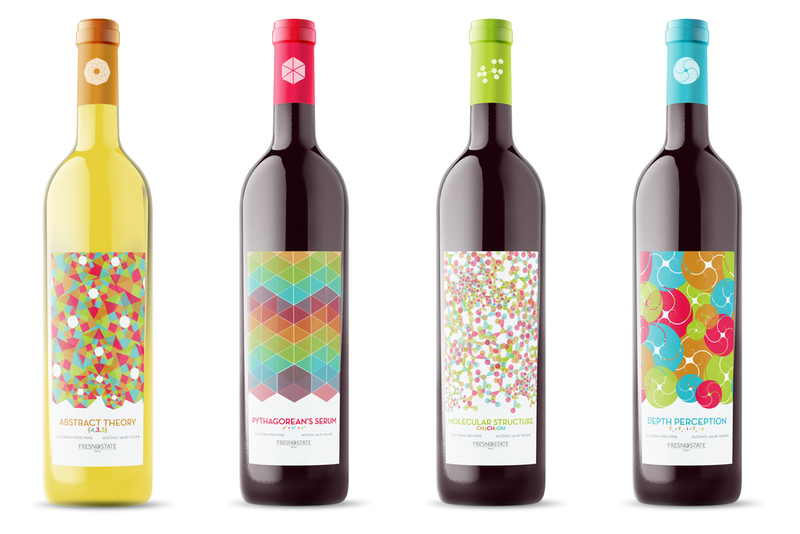 Molecular Structure is a wine to commemorate the Chemistry/Biology department. I chose to use the molecular structure of ethanol, which is the basis of alcoholic drinks. I really wanted to take the math and science and create a beautiful and aesthetic print out of each one. I believe science and math is intriguing, fascinating and beautiful in it’s own way and I hoped to show that to the clients and the consumers. 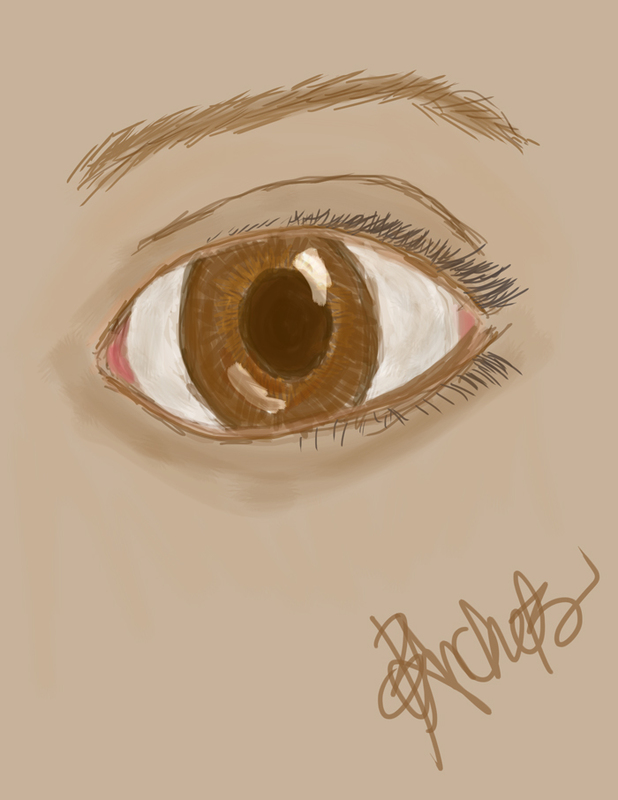 I've just been practicing painting on Photoshop. I used to mess around doing photomanipulations and painting back in high school. Since I've gotten down to the wire here in college, I haven't had the time. Now, I'm making time. I think it's such a great technique and skill to have. If you haven't seen them, Alice Zhang has the best illustrations. They're so beautiful and breathtaking. Also, her subject matter is the best that any fangirl like me can appreciate. Compared to her, I'm an amateur, at best. But hey, with some practice maybe I'll improve. This image on the right is what I quickly worked on, I'm still experimenting. I find this practice very therapeutic! In Senior Experience Tags inspiration, skills, alice zhang, FUN. I know I've been ignoring this site for a while. I don't mean to, but right now I'm on the fast track to graduate. Created for "How Design Live: Portland 2014", as a student project. The objective was to create a custom typeface that captured a city in America, and create a poster to attract visitors and conference goers. The Poverello House logo represents the warmth, faith and compassion that the company strives to provide for the community. Be mindful when using it: Our logo is like a personal sign-off on these ideas we're presenting. The signature consists of two elements that work together as a whole. Sarap Buhay means "good life"
that's the motto at Kintsay Restaurant. Kintsay Restaurant is a Filipino-American restaurant based in San Jose, California, the heart of the Silicon Valley.